Author Subscribe to this thread to get notified when a new update of GenoPro is available. This page contains the history of GenoPro 2007 updates. We will post a message in this thread each time a minor update of GenoPro 2007 is available for download. Anyone subscribed to this thread will be automatically notified. 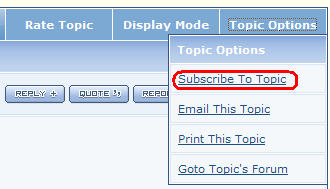 Click on the link Topic Options, and pick Subscribe to Topic. There is also a page that list of all patch notes since GenoPro 2007 release. Fixed crashing bug when searching text on a computer without any printer driver installed. Fixed bug by allowing a place to inherit the same category as its parent place. Added code to remember last selected objects when saving to XML. Improved report generator to include GeoMapping via Google Maps. Improved contextual help for sending file to another user and performing an online backup. Improved report generator to better display places on Google Map. Allow the user to change the printer paper orientation from the Print Setup as well as the Page Setup dialog. Improved help message when requesting a free registration key with an invalid email address. Renamed tooltip message from "Husband" and "Wife" to "Partner" for an unmarried couple (cohabitation, casual relationship, love affair). New feature to consolidate objects (places, sources, pictures) from the Table Layout. New feature to display symbols for anthropological kinship diagrams. Added instructions to detect and remove garbage (illegal) characters when importing Gedcom files. Fixed craching bug in sources when temporary parent source is being deleted while in use. Improved the registration dialog to request a free academic evaluation key. Improved the code to generate SVG and export to Gedcom via the report generator. Genealogy Timeline. Display an interactive timeline of events (birth, death, marriages) in the HTML report. Support context menu by keyboard for those not having a mouse. Added codepage to support Telugu language (India). Fixed keyboard accelerator conflict of zoom (%) and bookmark #5. Support for Support for Wine (Linux and Macintosh-Intel). Allow GenoPro to run on Linux and/or Macintosh. Added field object dependency in Table Layout for all types of objects. Fixed bug in TableLayout where the [row#] was not copied properly in clipborard/spreadsheet. Fixed bug where siblings of a single-parent family would appear as half-siblings. Fixed bug where remaining custom tags would not appear in proper order after a deletion. Improvement in the report generator for localization (translation) of HTML reports. Built-in tool to translate (localize) GenoPro in any language. Improved the report generator to abort gracefully on a buggy script. Added Social Relationships and Social Entities to Table Layout. Fixed missing pixel when rendering metafile for pasting to third party applications. Fixed invisible pedigree link between multiple hyperlinked individuals. Fixed crash when editing the Places properties. Prevent the user to create a bookmark on a read-only document. Major improvements to the translation user interface. If you are translating (localizing) GenoPro in a foreign language, you should upgrade. The new dialogs are much friendly to use. Completion of the translation of menu items, including complex menu items requiring text formatting. Option to switch language from the Tools menu. Added keyboard accelerators to pick a language pack and access to the translate the menus, dialogs, enumerations and tags with a single keyboard key. Fixed problem of menu mnemonic accelerators in the localized language. Fixed bug in report generator where a translated tag containing foreign characters would not display properly. Improved script for selecting correct zoom on Google geo-mapping. Added 10 new dialogs to translate. Improve the sorting of the system fonts to display font names starting with @ at the bottom of the list. User-friendly dialogs to translate GenoPro. Support for editing multiple lines in a single-line edit box. Support integral copy & paste of a single grid cell containing multiple lines. Improved sorting of table layout. Fixed crash when saving a Source / Citation with a deleted primary picture. Fixed export to metafile and/or copy & paste where the image could be clipped for special screen resolutions. GenoPro is available in 20 languages: Spanish (Español), French (Français), Russian (Pусский), German (Deutsch), Portuguese Brazil & Portugal (Português), Italian (Italiano), Finnish (Suomi), Dutch (Nederlands), Czech (Čeština), Vietnamese (Tiếng Việt), Scots gaelic (Gàidhlig), Hebrew (עברית), Icelandic (Íslenska), Estonian (Eesti), Polish (Polski), Catalan (Català), Croatian (Hrvatski), Hungarian (Magyar) and Tagalog. Fixed VBScript runtime in report generator when generating HTML report for a very unsual family tree.